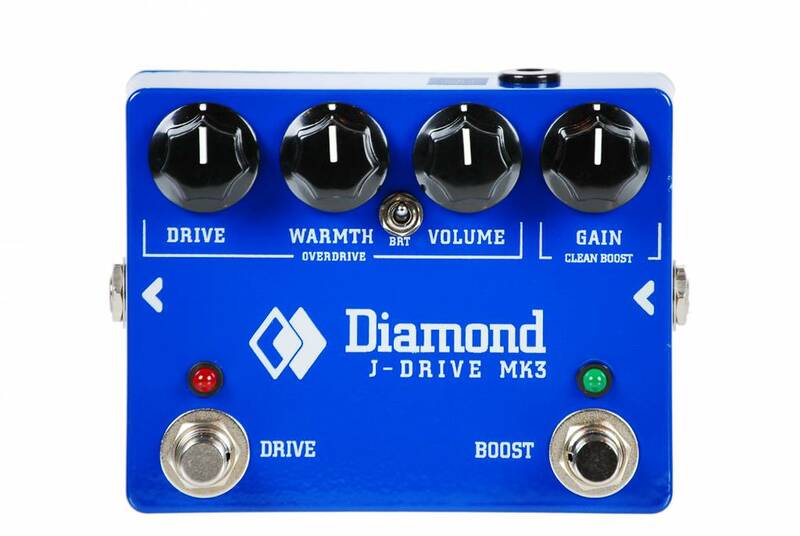 The Mk3 evolution of the J-Drive integrates even more functionality and tonal variations into the combined drive and clean boost concept. In the clean boost section, the Mk3 has an independently switchable clean boost consisting of a Vishay JFET and BJT clean boost. 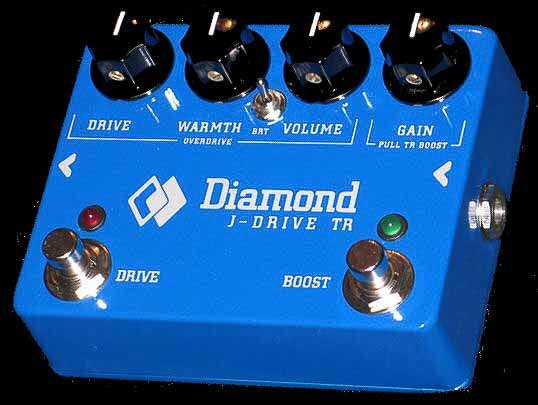 Borrowing from the limited edition J-Drive TR, we've also added a cool transformer output stage to the overdrive section - it has a wonderful smoothing effect on the upper mids and highs, placing an inductive source impedance at the amps input as a guitar's pickup would (but at a lower output impedance so it works great into other pedals as well as amps). Our 'Close Asymmetry' overdrive circuit utilizes a Schottky barrier diode for smooth asymmetrical clipping - which combined with the transformer output gives a liquid smooth sustain with punch. The 'Warmth' control offers a unique tonal control adding low end gain while simultaneously cutting top end- perfect for warming up a bright amp or guitar. We've also added a toggle switchable high frequency shelf filter to add extra 'bite' when needed.